My favorite gift for the holidays. 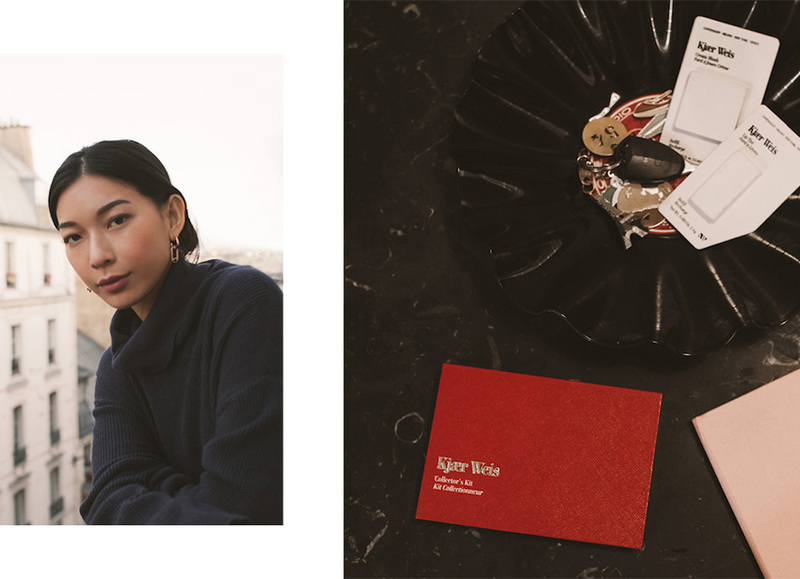 Kjaer Weis recently unveiled a new, luxurious palette that really is more like an indulgent jewelry box for the true beauty connoisseur: The Collector's Kit. For a Kjaer Weis devotee like me, it's a gorgeous, unique travel palette for carrying my favorite Kjaer Weis products that fit my current mood. For a new natural beauty convert, it's an iconic introduction to the best of organic, natural makeup. 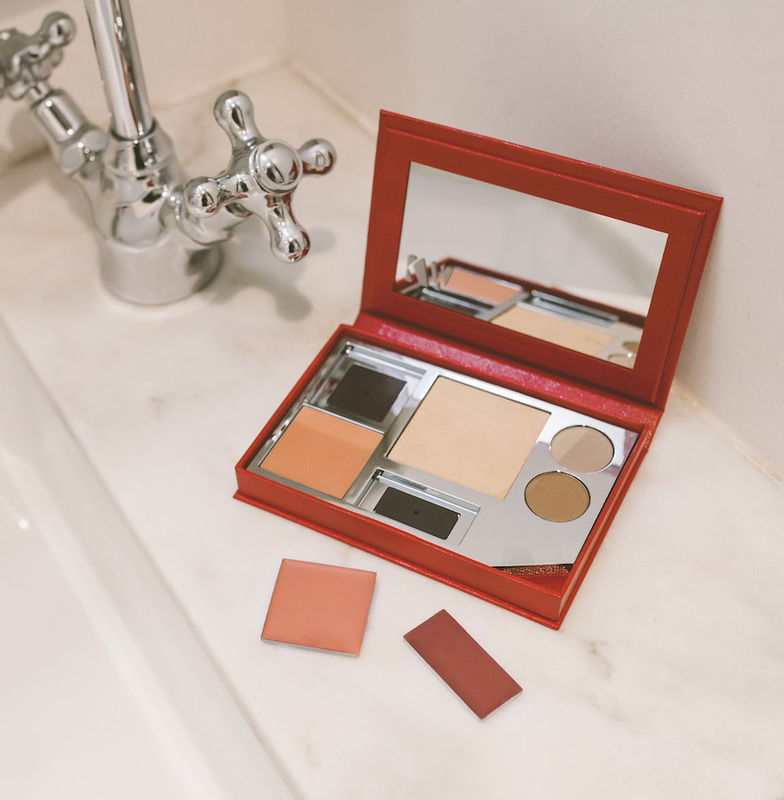 Gift this to your mom, sister, best friend, or makeup enthusiast and they'll carry this little red palette forever. 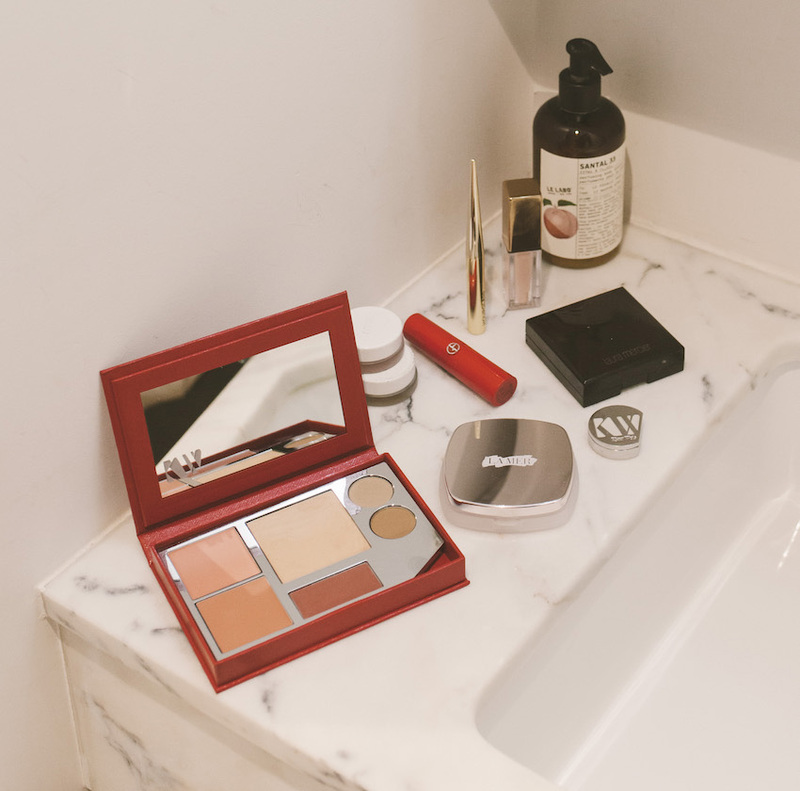 Kjaer Weis products come in a sleek silver compact that's already a vanity must-have on its own. But the best of being loyal to the brand is the chance to contribute to sustainability, by purchasing their special Refills whenever product runs out. Refills come in light, recyclable cardboard paper with a significantly lower price than the initial investment for the original, silver compact and they're super easy to pop into the compact or the Collector's Kit. The Collector's Kit can hold one foundation, two cream blushes (or highlighters), two eyeshadows, and one lip tint to create the perfect face. I sorted my shades to achieve a warm, rosy look in a travel palette for autumn in Paris. Kjaer Weis Collector's Kit is absolutely a luxurious gift with a price tag, but it's the most unique and personable investment for that special person on your gifting list. This is something I'd introduce to my younger sister to share the world of organic makeup with her or hopefully in 10 years' time, this will be something I'd give to my daughter to embrace her own natural beauty with a beautiful palette she can keep and personalize forever. For this holiday weekend, Kjaer Weis is offering 15% off your order with code THANKS, so it's the perfect time to get the Collector's Kit and stock up on Refills!